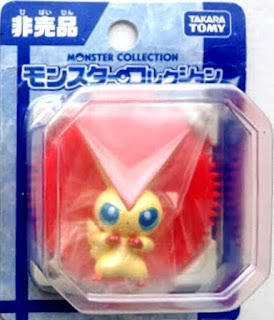 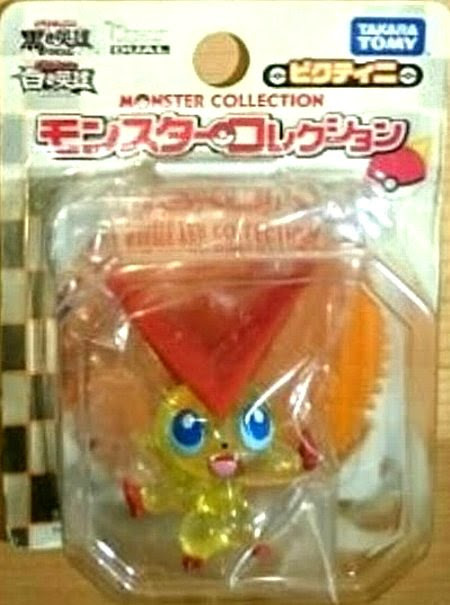 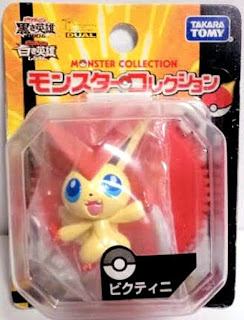 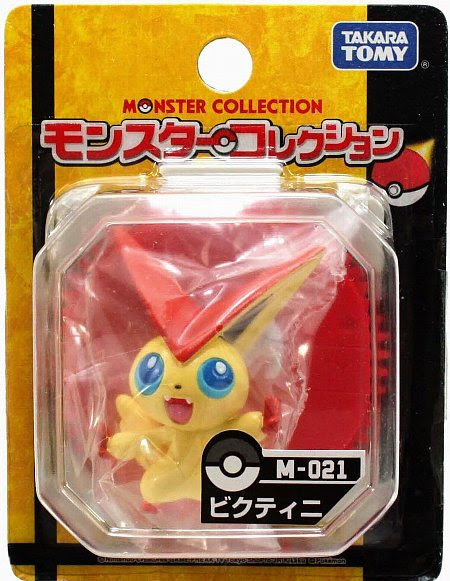 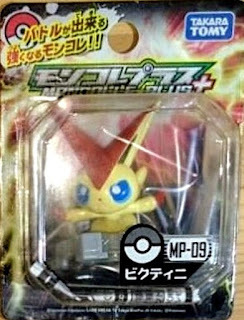 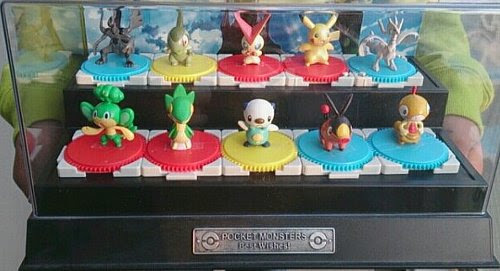 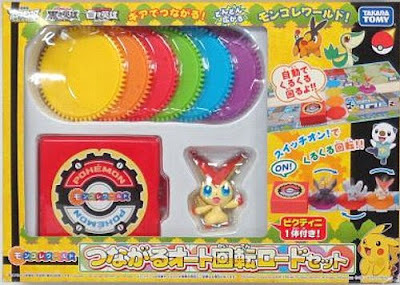 Pokemon figure Takara Tomy Monster Collection M series Victini ビクティニ. 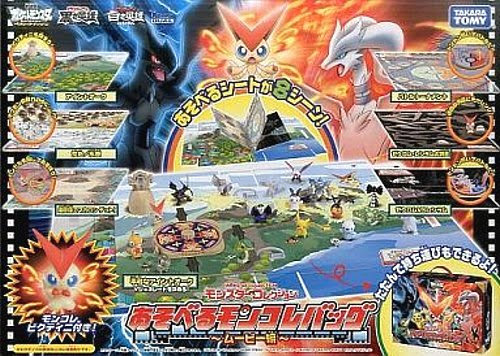 Same pose in 2011 Victini & Zekrom movie set. Same pose in Moncolle World Connectable Tuning Base play set. 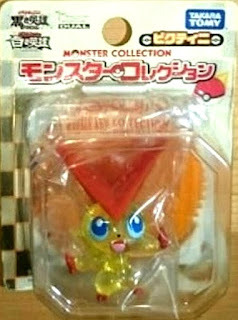 Metallic version in 2011 Seven Eleven asort. 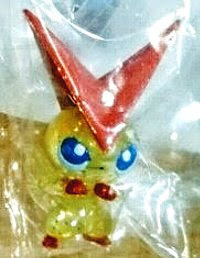 Clear version in 2011 movie promotion. 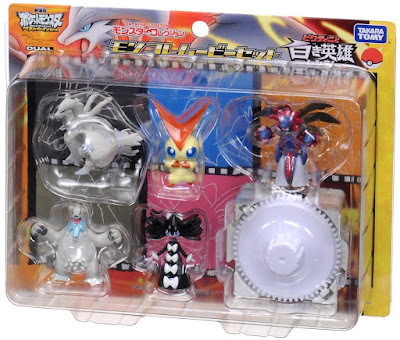 Fighting pose in 2011 Victini & Reshiram movie set. 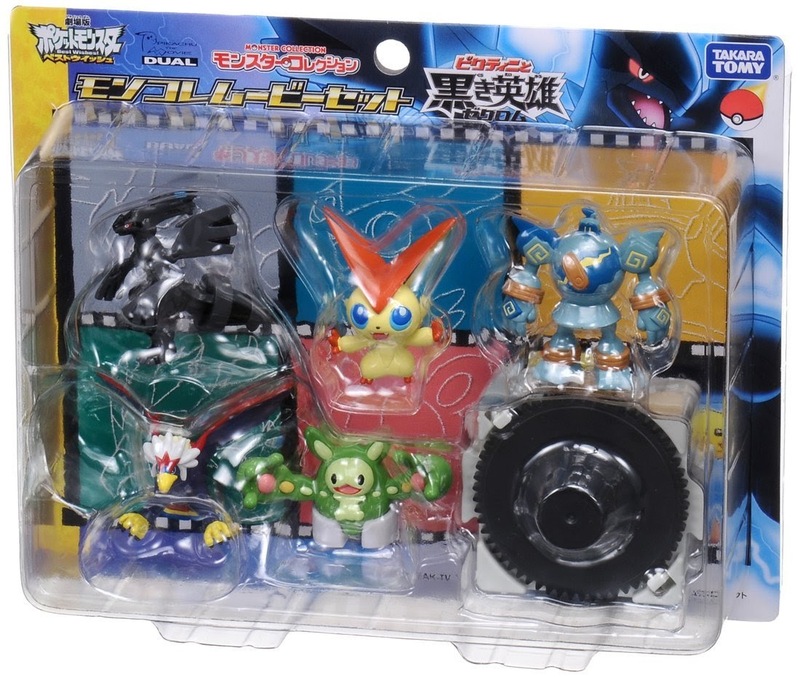 Fighting pose in Moncolle Victini Panorama Bag play set. 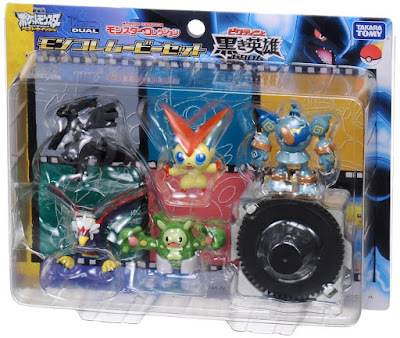 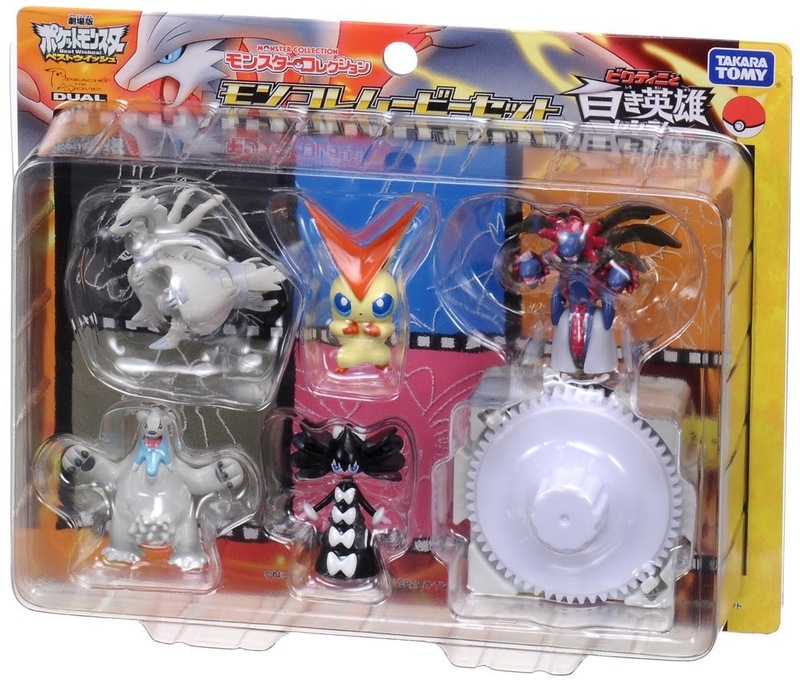 Fighting pose clear with sparks version by 2011 Takara Tomy summer promotion. Fighting pose pearly version by 2011 Seven Eleven BW figures set present. 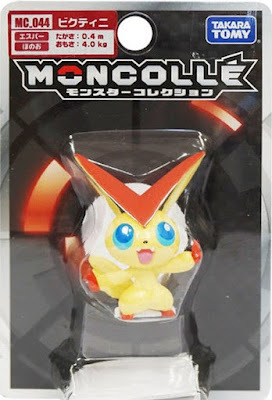 Same as M series with matte paint in MONCOLLE MC series. 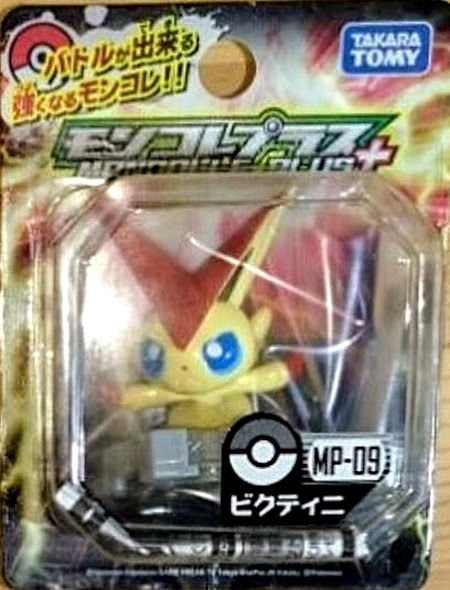 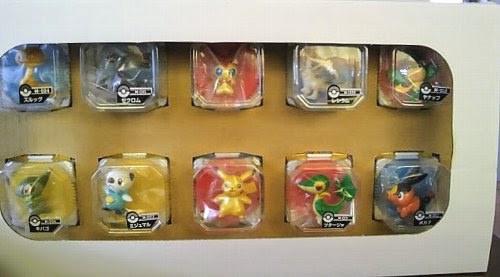 Victini in YJ Auction ?